Following sales growth in January, with the model changeover of the company’s best-ever selling sedan, the BMW 3 Series, in full swing deliveries at the BMW Group dipped slightly in February with a total of 171,501 (-4.1%) BMW, MINI and Rolls-Royce brand vehicles handed over to customers worldwide. Year-to-date deliveries totalled 341,977 (-1.9%). 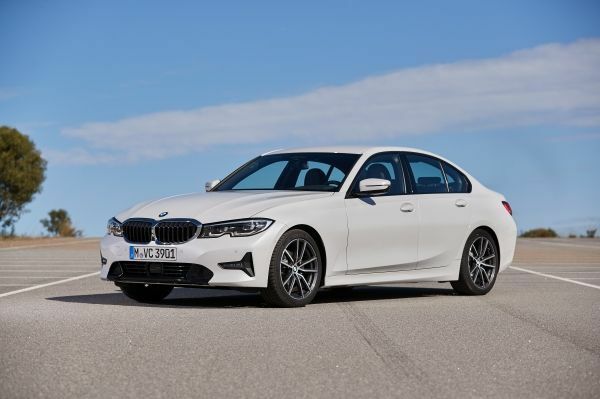 “With the current model changeover of the BMW 3 Series sedan, we had expected the year to start slowly,” commented Pieter Nota, Member of the BMW AG Board of Management responsible for Sales and Brand BMW. “However the new 3 Series, which has had great media reviews, is arriving in the showrooms right now and it’s already got a very strong order-book. This week’s Geneva Motor Show was a showcase for the BMW Group’s new plug-in hybrid vehicles, with world premieres for the electrified variants of the BMW 3 Series, the BMW 7 Series, the BMW X3 and the BMW X5. The BMW 5 Series and 2 Series Active Tourer will also get the new fourth-generation plug-in hybrid technology in the course of the year. The BMW Group is the world’s leading provider of plug-in hybrid vehicles and together with the fully-electric BMW i3, the company now offers electrified vehicles in every vehicle segment. After more than five years on the market, the BMW i3 remains very popular with customers, with sales in the first two months of the year up 19.8% on the same period last year. By the end of next year, the BMW Group will have introduced ten new or updated electrified models. By 2025, the company plans to have at least 25 electrified models on the market, 12 of which will be fully electric. A total of 297,640 (-2.0%) BMW brand vehicles were delivered to customers in the first two months of the year. Due to the current runout, sales of the BMW 3 Series sedan, which accounted for 13% of overall BMW sales in 2018, were down 13.4% (37,232) in the first two months of this year. The new model will reach full availability during the second quarter. MINI brand sales were slightly lower in February than the same month last year, with 23,068 (-1.1%) delivered in the month. Year to date, 43,644 (-1.4%) MINI brand vehicles have been delivered to customers around the world. The media got their first drive of the all new fully-electric MINI recently and the reaction to this hotly anticipated car was very positive. With that and the launch of the updated MINI Clubman later this year, it’s an exciting time for the brand, which celebrates its 60th anniversary in 2019. BMW Motorrad continues to go from strength to strength with sales up 5.6% (19,675) in the first two months of the year.